An excellent mobile email app should be fast enough to navigate, load messages, refresh inbox, and must have user-friendly functionality. Microsoft has launched ‘Microsoft Outlook(iOS)’ app with great design and easy to use features. It is the most recommended email app for iPhone/iPad. 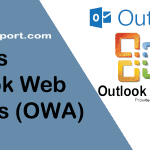 Outlook has been re-branded and still supports most of the popular email services like Microsoft Exchange, Office 365, Gmail, Yahoo! Mail, and iCloud. The best part about Outlook email app is, it integrates your calendars and files from services like Google Drive, OneDrive, Dropbox, and more. 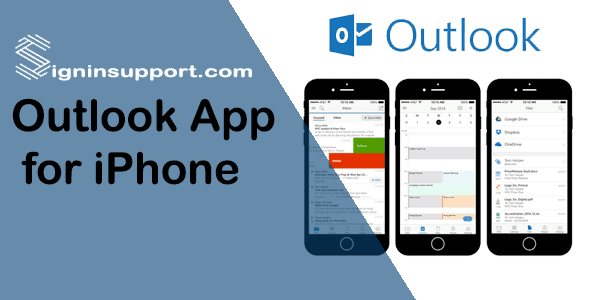 Outlook mail app for iPhone and Outlook iPad app is recommended for any working professionals who are using any iOS device. If you want to access Hotmail from PC, follow this Hotmail login process. 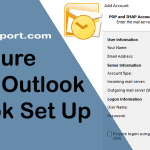 Set Up Outlook Mail on iPhone, iPad, or iPod using Outlook app for iPhone? Most iPhone user asks ‘How do I get Outlook on my iPhone?’ Here we’ll assist on how to get Outlook on iOS devices. You can set up your iPhone email account using an iOS app for Outlook that is available in the app store or directly using the built-in iOS email app to have access to iPhone calendar, email, and contacts. Why Outlook for iPad, iPhone, or iPod? Notifications are really fast and with amazing tones. Performs real faster than before. 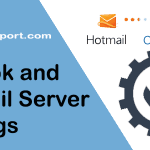 Better bulk Mail management than other email providers. Outlook for iOS availability may depend on which country you’re currently living for and requires iOS 8.0 or higher. Before adding Outlook email to iPhone, check what’s available in your country. 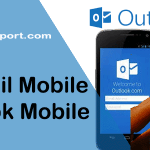 We suggest you to try adding your email account using built-in email app on your device if Outlook email app is not available in your region. Download Outlook for iOS app from the Apple store, open it, tap ‘Settings’, and tap ‘Add account’ after the installation process completes. Select Outlook.com if your email address ends like @outlook.com, @hotmail.com, @live.com, or @msn.com. Tap ‘iCloud, Gmail, or Yahoo! Mail‘ if you have the different account and want to add that account on your iPhone. Enter your login credentials and tap ‘Sign in‘. Tap ‘Yes‘. It permits Outlook iOS app to access your info. Outlook for iOS will shortly start syncing. You can add or delete your account anytime. To add another account tap Settings and click on add account. Tap ‘Settings’ on your device and click ‘Mails, Contacts, Calendars’ and tap ‘Add account’. Tap ‘Outlook.com’ on the add account page. Enter your login credentials. Don’t forget to enter your full email address. iOS email begins syncing. Tap ‘Save’. Get Outlook for iOS from Apple store. Open it, tap Settings and tap Add account. Now Outlook for iOS app starts syncing your email, contacts, and calendar. Tap settings on your device and click Mails, Contacts, Calendars, and tap Add account. Tap Exchange in Add account page. Enter your full email address and its login password. iOS email built-in app begins syncing. Tap Save. Check your login credentials twice. You need to enter your full username. Don’t omit @outlook.com portion. Check whether Caps Lock key is activated. If you’ve activated two-step verification, replace the password on your phone with the app password on Security info page. If you’ve changed incoming and outgoing server setting, check twice whether you typed correctly or not. Try accessing your Outlook email from any other device.